Commence the wearing of the green. St. Patrick’s Day is just around the corner, and Japan is preparing to celebrate its love affair with Ireland—a relationship spanning more than three centuries. Time has strengthened the Land of the Rising Sun’s infatuation with the Emerald Isle. 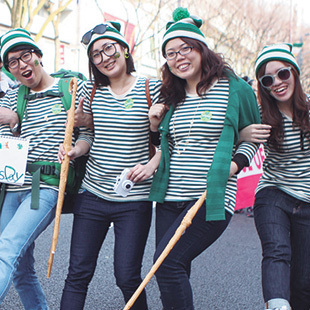 Asia’s first Saint Patrick’s Day parade took place in Tokyo back in 1992—and the tradition is still going strong, beckoning green-clad crowds to march down Omotesando. But it’s more than just a spirited stroll. Held in tandem with the parade, the I Love Ireland Festival spotlights the culture, bringing together musicians, artists, sports enthusiasts and business experts to show what makes Ireland unique. 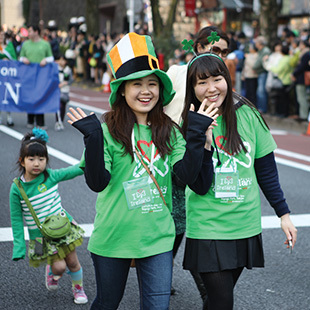 According to Haruka Masumizu, PR officer of the Irish Network Japan (INJ, www.inj.or.jp) and additionally of the I Love Ireland Festival committee, which is organizing the event, Japan’s affinity with Irish culture can be attributed to its universality. 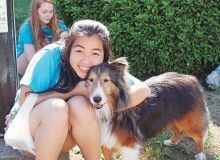 While there will be performances aplenty, the Japan branch of the Comhaltas Ceoltóirí Éireann (CCE Japan, http://comhaltas.jp)—a group dedicated to promoting Irish music, art and dance—will also have a booth on-site offering information on the arts and local classes. Ireland’s own Gaelic football, a sport that’s gaining traction in Asia, is also represented. Differing from soccer, the sport is played with a round ball with 15 members per team. Goalposts are of the same shape as those of rugby, with what resemble soccer goals added. Luke Dillon, vice chairperson of the Japan Gaelic Athletic Association (Japan GAA, www.japangaa.org), says the GAA uses the sport as a medium to promote Irish culture and build cross-cultural relationships. Business is also an important facet of cultural exchange. The Ireland Japan Chamber of Commerce (IJCC, www.ijcc.jp), established in 2008, works to fortify relations between the Irish and Japanese business communities through seminars and networking events; and also will be present at the Festival. “Ireland can be an attractive location for Japanese companies to locate their European operations,” says Gerard Mulligan, IJCC president. “It has a highly-educated population that is one of the youngest in Europe, is English-speaking and an excellent doorway to the 500 million-strong European markets. To fully immerse yourself in the Emerald Isle, the I Love Ireland Festival might be the ticket.